Direct to patient data collection, education, and engagement tools are all the rage. Tools ranging from simple, slick patient appointment reminders all the way to education applications eliminating use of physical therapy in post surgical care for hip and/or knee replacements filled the AAHKS floor. Olio’s observation was that many of these solutions are catered for the engaged, more tech savvy patient population -- not for those that are older, more complex patients. The questions remain if patient adoption follows these applications and/or if payers actuarially see value in these additive costs solutions, compared to direct patient care or solutions making the provider more efficient. Device entities are differentiating beyond “advancing core products”, looking into physician/ health system support solutions to make themselves indispensable in a value-based landscape. Orthopaedic blue bloods like Zimmer Biomet and Stryker are making strong pushes into the technology space (Zimmer Biomet) and the risk alignment space (Stryker). The buzz coming out of this week was the Zimmer Biomet collaboration with Apple. This clinical study will use Zimmer Biomet’s recently launched mymobility with the Apple Watch to monitor progress through their hip or knee replacement journey. Researchers will combine patient-reported feedback with continuous health and activity data from Apple Watch to provide new insights into patient condition on these surgeries. There might be more “sizzle, than steak” here on a clinical study but we applaud these industry titans for taking an innovative approach to support their core business. Sidenote, this is just another example of how the tech giants (e.g., Amazon, Alphabet, Apple) continue to circle the healthcare industry looking for a way to disrupt and/or add value. Much of the discussion at AAHKS focused on models to support the flood to outpatient surgical care. Undoubtedly, this space will continue to grow but it begs the question; are we prepared to care for the flood of Baby Boomers who are living longer with more comorbidities/ complexity than ever, in the outpatient surgical space? Do we believe it is really safe? Do the incentives outweigh the medical malpractice risk that sits in the back of the physicians mind? Is there connectivity after the surgery with the patients’ preferred site of care in the post-acute environment? 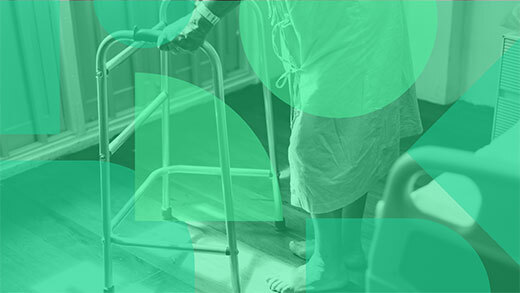 Our takeaway is no matter outpatient or inpatient as the site of care, physicians and their teams need pragmatic tools to more easily manage their patient panels that are aging and more complex than ever. Speculation abound at AAHKS was that reimbursement and Work Relative Value Unit (wRVUs) on the physician component of hips and knee replacements is likely to be reduced potentially by 20-30%. The AMA/Specialty Society RVS Update Committee (RUC), provides a voice in shaping Medicare relative values postured that the physician RVUs would decrease for these surgical procedures. If these significant reductions occur, how will that impact practice and employment patterns moving forward? You could postulate that employed physicians will aggressively revisit their employment terms as their workload will need to increase 20-30% with the wRVU reduction or they will migrate more care when clinically appropriate to the outpatient environment to benefit from ancillary revenue opportunities. Note: Although the RUC provides recommendations, CMS makes all final decisions about what Medicare payments will be.